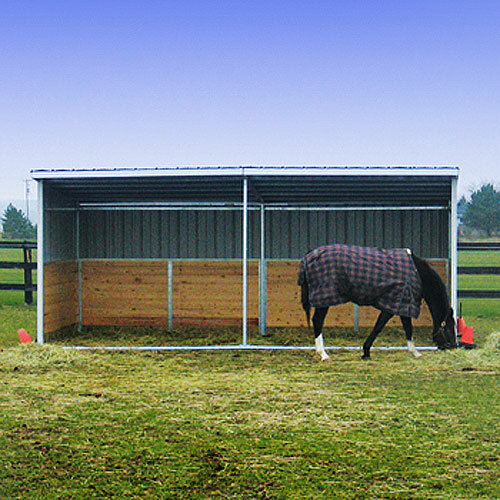 Run-in sheds provide excellent protection from the elements whether your horses are outside 24/7 or on a daily turnout. Shelter areas should be located to avoid adverse effects of predictable natural occurrences. If things change, just move them. *FRAME ONLY - The wood, siding, and roof are not included. 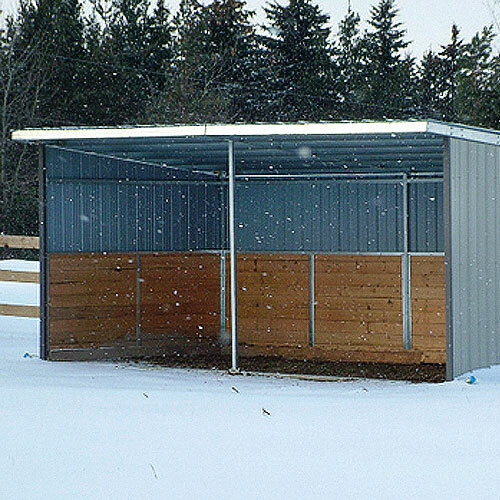 Run-in sheds provide excellent protection from the elements whether your horses are outside 24/7 or on a daily turnout and can be used as either a portable or temporary shed. 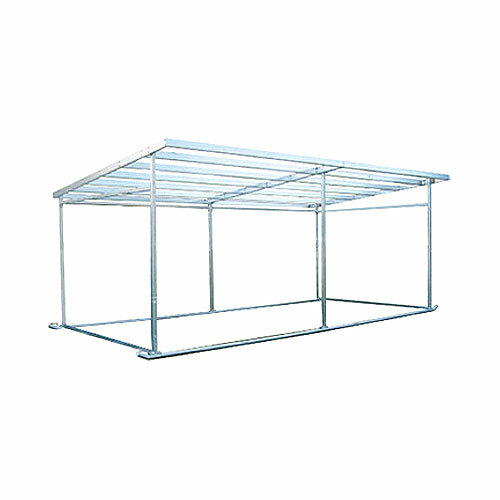 Shelter areas should be located to avoid adverse effects of predictable natural occurrences. If things change, just move them. 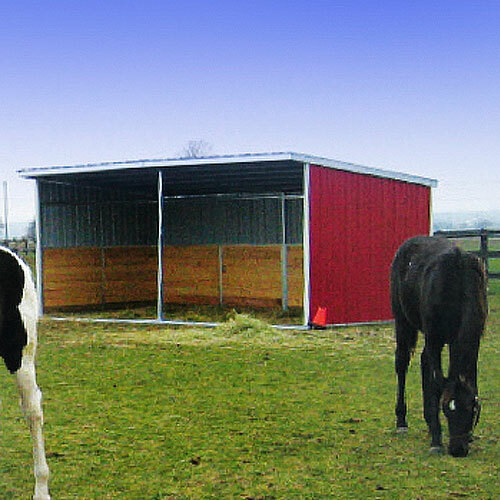 Also, these run-in sheds can be easily converted into stalls or divided by installing a partition. You may also consider installing feeders and waterers into your run-in shed to ensure your horse has constant access to fresh food and water. *Note: The wood, siding, and roof are not included - frame only. Shipping: This item ships via freight carrier. Please contact us for a quote.